Do you wish to let your property, but not sure where to start? Our step-by-step guide will give you the knowledge and confidence to let your property in no time. Being firmly established for well over 25 years now, we’re in a unique position in being able to achieve these aims. Our expert valuers have many years of tried-and-true experience, giving you the insight you require in the current market. 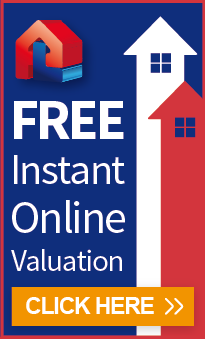 Call your local Property Link office or complete our online property valuation request form here. There are a number of options on offer, depending on how much involvement you would like as a landlord. So we can show your property in the best light, you may wish to emphasise spaciousness by de-cluttering the rooms. At this stage we will be happy to step in and take care of the professional photography in order to capture your property beautifully. We will look at each room individually determining the best angles and shots to produce high quality photography that will then be used as the basis for our marketing material. our bustling offices, online on our website and all major property portals such as Rightmove, Zoopla and Prime Location amongst other portals. This is on top of social media channels and local advertising such as Email and SMS Alerts. Our marketing machine is firing on all cylinders! Viewings can be arranged around your availability with evening and weekends being available. Typically landlords leave a key with us to get their property let in a shorter time. Our consultant will advise you on the best marketing strategy specific to your property in accordance with the market conditions, and may suggest an open day or block viewing to maximise interest. We find that prospective tenants are comfortable being open and honest to a straight-talking, unbiased consultant. We then relay this information to you in update calls, so you can make as informed a decision as possible. Needless to say, we have numerous checks and a vetting procedure in place to minimise the chances of a problematic tenant to slim to none. Upon receipt of an offer, we will notify you at the earliest, informing you of the situation in full, providing you with a profile of the tenant as well as financial status. Any conditions, or potential complications will be explained from the outset to ensure the let proceeds smoothly, minus the stress of course. Upon acceptance of an offer, the lettings process can begin. As your appointed letting agent we will take on the administration and paper work so that you can now breathe easy, knowing the tenancy is in the capable hands of experienced and passionate people.